to create the right look and feel for your project. We involve the right people and use the right gear. Our direction is driven by your overall vision, objective, timeline and budget. We love to infuse thoughtfulness into everything we do; systematically plugging in genius and creativity. You will feel comfortable knowing that we have everything it takes to bring your project to life and deliver on time. 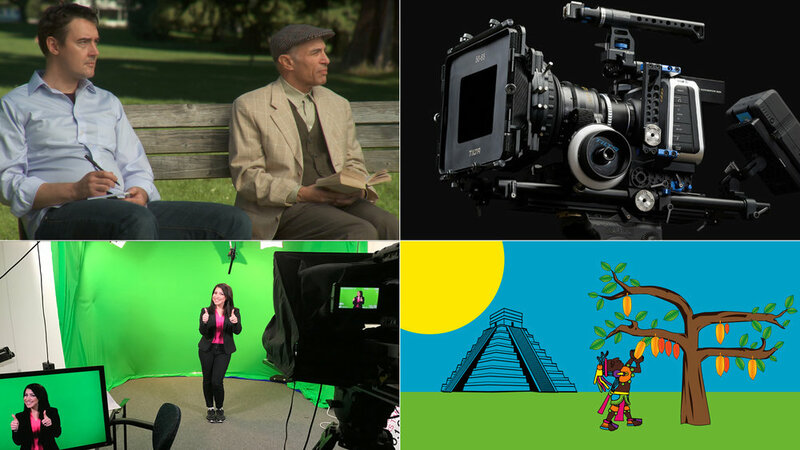 We can shoot green screen, in a studio or at your location, to give your project added flexibility and creativity. Telling your story effectively includes using compelling graphics and animating those elements to keep your audience engaged. It doesn't have to be complicated. Cinematic Aesthetics. Clean Lines. Great Composition. Color and Light. Balance. Sound Design. Powerful words. Movement. Graphic Design. All elements bind together to form a harmonic and artistic blend that tells the complete story as the sum of the parts. Phil has over 20 years experience developing, producing, directing and editing film and video projects.